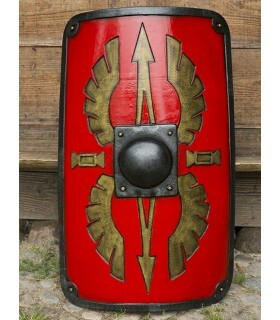 Roman Shields There are 8 products. 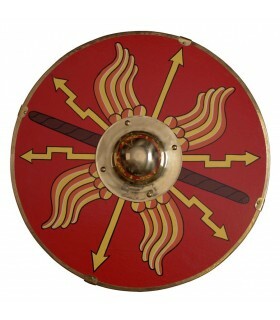 Parma Roman shield round. Made of plywood 1 cm. brass coating thickness and the edge. It has a handle to be gripped inner cone l arm. 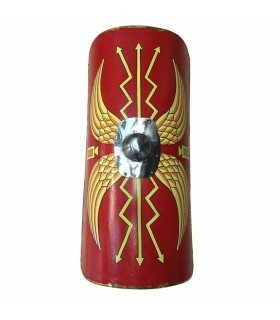 It is decorated with Roman motifs. 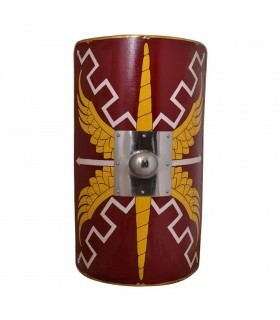 It was used mainly by infantry and cavalry of the Roman army. 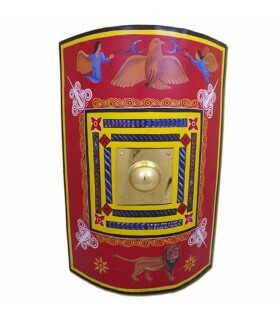 Roman shield Parma painted cavalry. 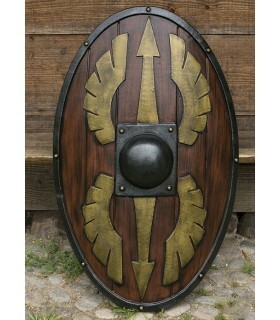 It is made of wood and lined in its outline by brass blade. 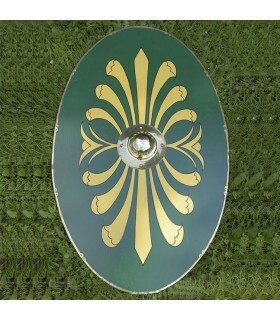 It has central umbo also in brass. 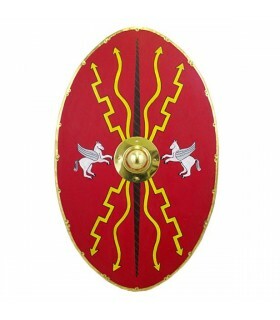 This shield was also known as Parma Equetris and was used by Roman cavalry.